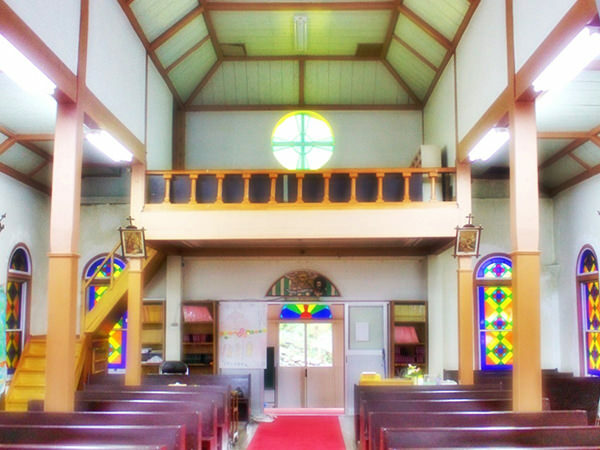 Fukumi Church is a Catholic church in Nakadohri Island. Hidden Christians escaped from religious persecution in Kyushu Island (refer to #063) and moved to this island in around 1800. 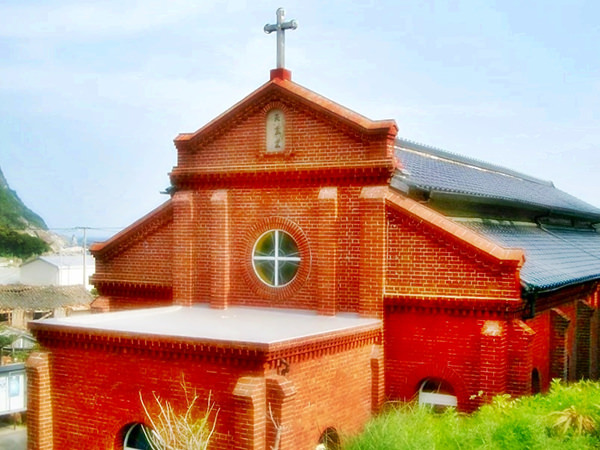 The Christians constructed the first church in 1882, but it was destroyed by a natural disaster in 1884. Then, the current church was built in 1913.